Isla Verde, Puerto Rico (September 25, 2017) – The Management of Verdanza Hotel, a member of Preferred Hotels & Resorts’ Lifestyle Collection, reports that the property suffered no significant structural damage as a result of the passing of Hurricane Maria, with the impact mainly limited to water and landscaping damage and plans to reopen October 15. Although utilities are down and in the process of being restored across the island, the property has not lost water service at any time, while an electricity generator provides power for all hotel operations both in guestrooms and common areas. Meanwhile, guests and staff are safe. “Our thoughts are with everyone affected by the passing of Hurricane Maria,” said Ricky Newman, general manager. Newman explained that Verdanza Hotel is operational; however, the property is currently serving as a home base for first responders and representatives from the local and federal agencies working on recovery efforts. “As always, we stand in solidarity with our community, committed to once again play a part in the recuperation and rebuilding of Puerto Rico,” he added. Verdanza Hotel is scheduled to open its doors to welcome visitors starting Sunday, October 15, 2017. The property’s Hurricane Policy is now in place for those whose vacation at Verdanza has been disrupted by the hurricane. Reservations for stays before October 15th may be rescheduled or cancelled without penalty. We will provide a more comprehensive update as soon as our telecommunications system is restored. For online updates from the Puerto Rico Tourism Company, please visit www.puertoriconow.seepuertorico.com. Set just steps from the golden sands of Puerto Rico’s popular Isla Verde Beach, the Verdanza Hotel offers a blend of boutique-style service and the conveniences of a full-service hotel. Full services for meetings and social events: 16,000+ square feet of flexible indoor and outdoor meeting space; unique Muse Creative Room designed to promote creative corporate meetings. For more information and reservations, visit www.verdanzahotel.com or email at feelthevibe@verdanzahotel.com, phone: 800-625-0312, 787-626-9025. 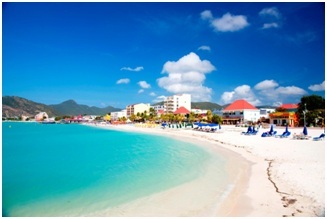 The romantic island of St. Maarten/St. Martin (www.VacationStMaarten.com) has been named in the Top 10 of the “Best Romantic Caribbean Island” by USA Today’s 10Best Readers’ Choice Awards. Couples visiting St. Maarten/St. Martin enjoy a natural, picturesque backdrop of swaying palm trees, turquoise blue water and white-sand beaches. The destination offers countless activities and attractions for romantic outings including sunset catamaran cruises, horseback riding, beach-side couples massages, intimate meals and more. Those wishing to get married in St. Maarten/St. Martin can engage the services of on-island wedding planners, who can assist with making the necessary arrangements for a ceremony, and caterers who can plan the perfect reception for the couple. Many of the destination’s hotels and resorts offer complete wedding packages inclusive of an abundance of special amenities for the big day. St. Maarten/St. Martin is home to 37 square miles of breathtaking beaches and boasts numerous historical and romance-oriented attractions. During the day, watersport enthusiasts can take full advantage of the island’s scuba diving and snorkeling facilities, while the capital of Philipsburg offers duty-free shopping with a lovely city atmosphere, 14 world-class, Vegas-style casinos and many nightclubs that provide endless entertainment. With the widest variety of dining experiences of any other island in the Caribbean, the Dutch nation of St. Maarten and the French overseas collectivity of St. Martin offer a wide range of cuisines served in 365 restaurants – one for every day of the year. Experience Caribbean cuisine and culture at the Taste of the Islands festival, presented by Ask Me, Inc., taking place Saturday, June 29 from 6 – 9 pm at the Hyatt Regency, Miami. Gather information about your favorite Caribbean destinations, sample gourmet appetizers, desserts and signature cocktails, and listen to authentic Caribbean music. Participants at the festival have the opportunity to win prizes including a three-night all-inclusive stay at the Coconut Bay Beach Resort & Spa in St. Lucia. Presented by the Caribbean Hotel and Tourism Association (CHTA), Taste of the Islands is part of the Taste of the Caribbean competition between chefs and bartenders from the region with teams from Anguilla, Bahamas, Barbados, Bonaire, Curacao, Jamaica, Puerto Rico, Suriname, Trinidad and Tobago and the U.S. Virgin Islands. The Taste of the Islands highlights the street foods that are common throughout the region. Each competing team is given a “protein mystery basket” with a large selection of ingredients in a common pantry. From these ingredients the teams create two savory dishes, one dessert item and one rum-based cocktail. The event is scored by the judges and counts for 20 percent of the team score in determining the medals for the “Caribbean Team of the Year” recognition. During Taste of the Islands, consumers can vote in the “People’s Choice” awards to select their favorite culinary creations from participating teams. Consumers who vote in the “People’s Choice” awards will be entered into a drawing for the chance to win a three-night all-inclusive stay at the Coconut Bay Beach Resort & Spa in St. Lucia, provided by Ask Me, Inc. as well as a double magnum of Henkell Dry, courtesy of Henkell & Co. In addition to the 10 competing teams, tourist boards from Anguilla, Bahamas, Barbados, Jamaica, Suriname, Trinidad & Tobago and the U.S. Virgin Islands will be exhibiting in the pavilion with vacation information about their respective countries. Event-goers will be treated to authentic Caribbean music that will be played throughout the festival. Rums of Puerto Rico will have a sampling bar for event-goers to try the different brands that comprise the Rums of Puerto Rico. Award-winning, nationally recognized Chef Allen Susser, who is also the author of The Great Mango Book, will serve as the Master of Ceremonies. Additional hotel stays will be given away throughout the night courtesy of Media Blast. Tickets for Taste of the Islands are US$30 per person and can be purchased via www.chtatasteofthecaribbean.com, email events@caribbeanhotelandtourism.com or call (305) 443-3040 ext. 110. Mango Session:Presented from 2 – 3 pm by Chef Susser who will provide insight on cooking with mango, one of the Caribbean’s top fruits, which he has used in developing a tropical cuisine that led to the created of new world cuisine more than 30 years ago. Preparing Classical Cocktails At Home – A “Hands-On” Seminar: During this seminar, participants will learn the use of professional bartender tools and how to prepare the most famous classical cocktails from Mojitos and Brazilian Caipirinhas, to the Cosmopolitan and the WW I Sidecar. Presented by Trinidadian cocktail master and 2005 Caribbean Bartender of the Year, Raakesh Madoo, this seminar will be a “hands-on” so registrants should come ready to shake, stir and strain their own cocktail creations. The session is scheduled 3:15 – 4:15 pm on June 29. Rums of Puerto Rico Seminar: During this seminar participants will become true rum connoisseurs as they learn about the different types of rum that comprise the Rums of Puerto Rico brand. Representatives from the Rums of Puerto Rico will provide an insider look into rum’s history, rum making process, varieties of rum including light, dark, flavored and gold, and cocktails that are made with rum. The session will be held from 4:30 – 5:30 pm on June 29. Other programs include the Junior Chef of the Year (from 8 am – 12 pm), Pastry Chef of the Year (8 am – 12 pm), Bartender of the Year – Rum (10:30 am – 1 pm) and the Ice Carving competitions (4:30 – 5:30 pm) on June 29. Tickets for Saturday’s combined morning and daytime program, including the seminars, are US$35 per person. Purchase tickets for all of Saturday’s events, including Taste of the Islands, for $65 per person. 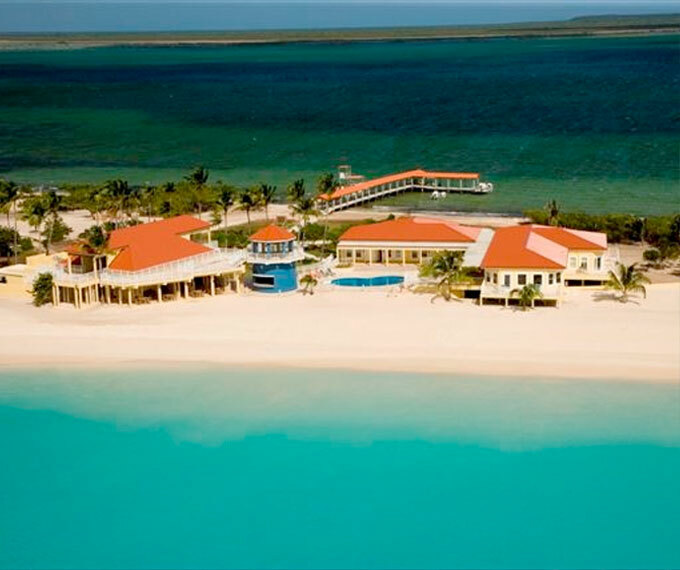 For more information, visit www.caribbeanhotelandtourism.com. Follow CHTA on Facebook Facebook.com/CaribbeanHotelandTourismAssociation and Twitter Twitter.com/CHTAFeeds. From music to hiking to the island’s artisan history, Dominica offers a wide variety of activities for visitors to the island from April to June. Known for its many festivals, the Nature Island has something for everyone year ’round. Dominica (pronounced Dom-in-EEK-a, and not to be confused with the Dominican Republic), a spectacular green island of rugged mountains, lush rainforests and rushing rivers in the Eastern Caribbean, is a haven for adventure travelers seeking a unique vacation experience. From April into early June, the Dominica Festival of the Creative Arts—or Domfesta—showcases the island’s varied arts and culture. Visitors to the Nature Island during this annual festival witness the talents of hundreds of local artists. Playwrights, poets, artists, singers and musicians all come together to present their interpretations of Dominica’s rich heritage in the arts. Held throughout the island, communities from north to south and east to west demonstrate their history and future by presenting village feasts, theatrical plays, art expositions, poetry and drumming festivals, as well as creole competitions and concerts. A highlight of this two-month festival is the Golden Drum Awards, which recognizes organizations and individuals for their contributions to the arts and culture of Dominica. Hike Fest is the ultimate opportunity to experience Dominica by walking with nature on the Nature Island. Held the first three Saturdays in May (4th, 11th, and 18th), Hike Fest offers treks through Dominica’s pristine, untouched natural trails that follow routes ranging from easy to moderate to difficult. Some of the routes form part of the Waitukubuli National Trail, 115 miles of trails spanning the entire length of Dominica. Hikers are amazed by the spectacular scenery, hidden beaches, cozy bays and fascinating rock formations that jut out into the sea. 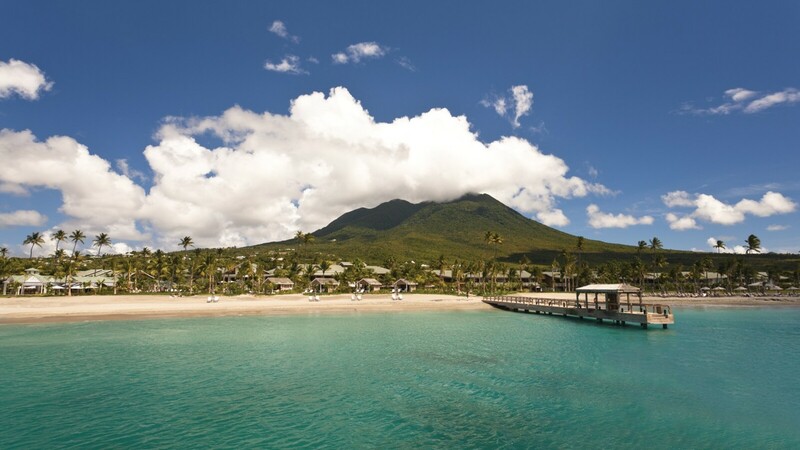 Visitors experience agricultural farmlands, parrot habitats and countless panoramic viewpoints including the French neighboring islands of Martinique to the south and Guadeloupe to the north. Hike Fest is the definitive way to embrace the exhilarating Atlantic breeze and be enchanted by the calming sound of the ocean, all the while exploring the natural wonders and hidden gems of the Nature Island of the Caribbean, Dominica. Visitors indulge in an experience that is authentically Dominican by joining locals for Jazz ‘n Creole from Wednesday, May 15, to Sunday, May 19. The festival culminates with a daylong mainstage event that includes a fusion of jazz and creole music, scrumptious food and a celebration of local culture. This rhythmic event is held at Historic Fort Shirley, Cabrits National Park in Portsmouth. Built in the 18th century to protect Dominica from invasion by the British and French, Fort Shirley is one of the most impressive military installations in the West Indies. This fun-filled, family friendly event is set to a homegrown musical masterpiece with festival goers being serenaded by the uniquely Dominican combination of jazz and creole. Dominica (pronounced Dom-in-EEK-a, and not to be confused with the Dominican Republic) is a haven for adventure travelers seeking a unique vacation that includes: hiking and adventure, cultural events/festivals, diving and water sports, whale/dolphin watching and canyoning adventures. Dominica lies south of Guadeloupe and north of Martinique in the Eastern Caribbean. 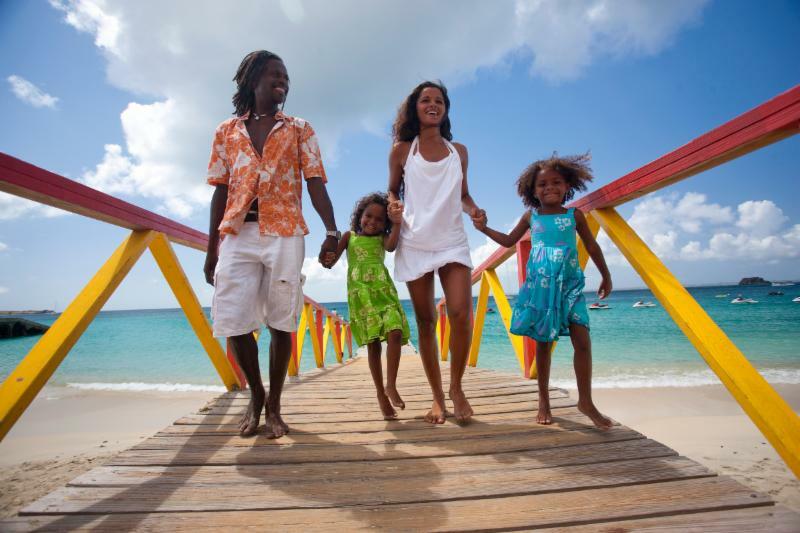 Air travelers can connect to Dominica on American Eagle, BVI Airways, LIAT or Seaborne Airlines (beginning April 2013) from the surrounding hubs of Puerto Rico, Antigua, British Virgin Islands, St. Maarten, Barbados and St. Lucia. Learn more about Dominica and the many exciting activities on the Nature Island by visiting www.discoverdominica.com, contacting a travel professional or calling Discover Dominica Authority toll-free from the U.S. and Canada at 1-866-522-4057. Known as “The Friendly Island,” St. Maarten will be a lot closer to travelers with Delta Air Lines’ launch of a new Saturday nonstop flight from New York”s JF Kennedy International Airport beginning Dec. 15, 2012. Vacationing in St. Maarten is becoming more convenient with the launch of direct air service on Delta Air Lines from New York’s John F. Kennedy (JFK) Airport to Princess Juliana Airport (SXM) in St. Maarten beginning Saturday, Dec. 15, 2012. “It is an exciting time for St. Maarten to begin this partnership with Delta Air Lines as it welcomes more travelers from around the world with easy connections through JFK international airport,” said May-Ling Chun, Director of Tourism. Beginning Dec. 15, the direct service from New York will depart Saturdays at 9:05 am arriving into St. Maarten at 2:15 pm (subject to government approval) with a returning flight leaving St. Maarten on Saturdays at 3:15 pm arriving into New York at 6:05 pm. The new route will provide convenient connections for both international and stateside travelers. Mauiva announced that it has launched a third AirCruise itinerary, the “Sun & Fun Experience”, a seven-day vacation package via private plane that travels to three destinations throughout the Caribbean and the Bahamas. The Sun & Fun Experience is an upscale, yet affordable group vacation that is designed to make tropical leisure travel much more convenient and enjoyable. Mauiva’s new itinerary will take flight beginning in September and will depart from Orlando, Florida, traveling to Grand Bahama Island, then to Grand Cayman, and finally, Cancun. Mauiva AirCruise guests will spend at least two days in each destination enjoying the all-inclusive experience – including deluxe resort accommodations, breakfast, lunch and dinner, and VIP access to various attractions and adventures. As with every Mauiva AirCruise experience, a motorcoach meets guests plane-side at each destination, driving them to a 4-star resort where their bags await them in their room. The next day, a certified travel host leads optional sightseeing tours and other activities such as snorkeling and kayaking. The Sun & Fun Experience features some of the region’s top historical and ecological sites, including Chichen Itza and the Xplor eco-park in Cancun. Mauiva is currently offering two Sun & Fun AirCruise packages – the “Comprehensive” package, and the “Fly, Stay, and Sun” package. The Comprehensive package, which lists at $1,999 per person at the double-occupancy rate, is all-inclusive and includes everything from flights and accommodations, to food and attractions. The Fly, Stay & Sun package, which lists at $1,449 per person at the double-occupancy rate, includes flights and accommodations only. In April 2011, Mauiva unveiled two inaugural itineraries – including the “All-American East Experience” and the “Western Wonder Experience” – affording leisure travelers the opportunity to tour many of North America’s most popular destinations, such as Niagara Falls, Washington DC, Sonoma County, San Francisco and the Grand Canyon. To date, nearly 10,000 people have booked their AirCruise experience. Travelers interested in booking the Sun & Fun Experience – or any other itinerary offered by Mauiva AirCruise – can visit MauiaAirCruise.com. Travel agents interested in offering the Mauiva AirCruise experience to their customers can send requests to info@mauiva.com. Mauiva is a leading flight service organization specializing in private and semi-private vacation experiences. With its unique AirCruise product, Mauiva is pioneering the travel industry with upscale, multiple-destination vacation packages. The company launched its first product, Mauiva Air Tours in 2009, a thrilling flight excursion offering guests the chance to see Florida’s most popular attractions from above. Headquartered in Central Florida, Mauiva continues to introduce innovative private air travel products and services that allow people to get more out of their vacation.